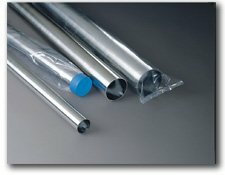 BEECO is proud to offer United Industry tubing. United Industries is the technology leader manufacturing 100% laser-welded tubing! Demanding application environments call for the highest quality tubing. It has been proven that laser-welded tubing outperforms TIG welded tubes. United Industries has been perfecting its laser welding capabilities since 1992. We are using a fourth genera­tion laser process that has set the standard for laser welded stainless steel tubing.